interior wall art solutions for the commercial market. and operated art house. 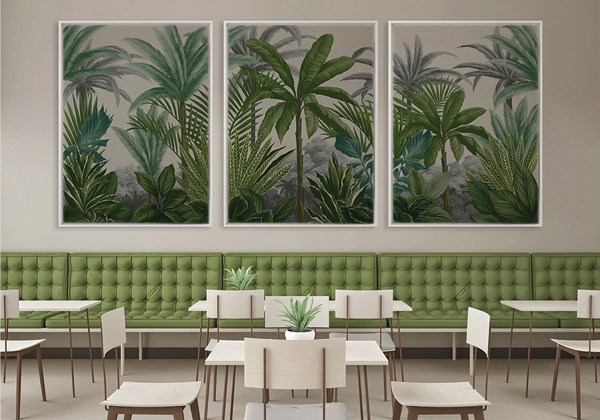 Since our beginning in 2010, we’ve established ourselves as art experts, working closely with companies all over the globe to design and produce bespoke wall art solutions to suit their needs. our catalogue, we continue to add and adapt designs to suit our client’s needs. With an in-house team of designers, manufacturing warehouses and experienced project managers, from concept, to installation, we’ve got you covered. Can’t find what you need? Let’s chat about how we can create something to fit your brief. Browse through the brand new 2018 Lookbook for Urban Road Commercial. Complete with an extensive range of premium art, soft furnishings, sculptures and original art options available.